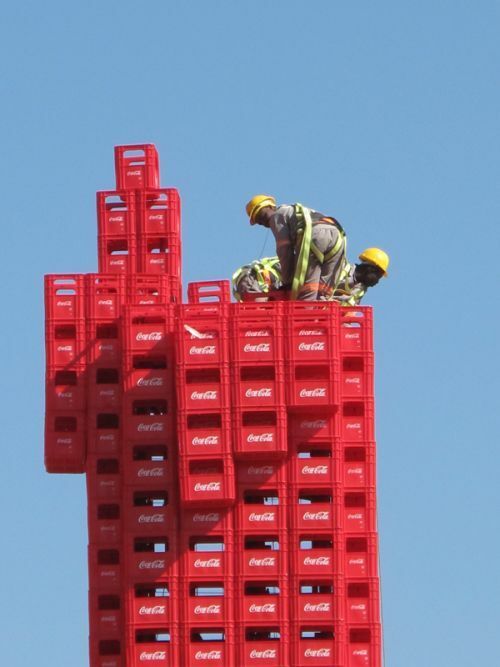 A giant Coca Cola monster was made with 2500 standard Coke bottle crates. 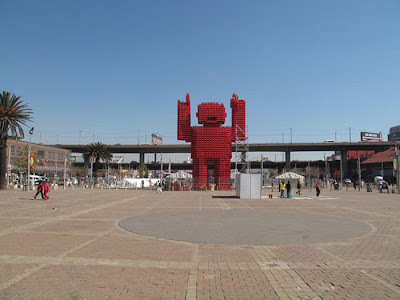 It weighs 55,000 pounds (25 tonnes) and stands 54 ft (16.5 meter) tall and stays in Newtown, South Africa. 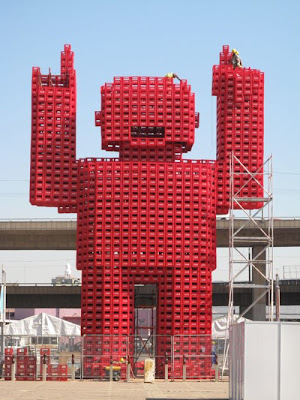 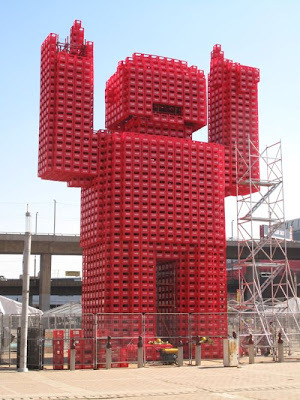 0 COMMENTS on "Monster made of Coke bottle crates - 04 Pics"